TL:DR: The Singapore Civil Defence Force is leveraging technology to fight fires and save lives. From fire-fighting robots to load-bearing exoskeletons, these automatons and gadgets keep our homeland heroes safe in the line of duty. But even the public can make a difference through the myResponder mobile app, administering CPR or helping to tackle small fires before professional help arrives. When an emergency erupts in the heartlands, the brave men and women of the Singapore Civil Defence Force (SCDF) mobilise at the push of a button to save lives and restore calm. But even heroes need their gadgets and robotic sidekicks. 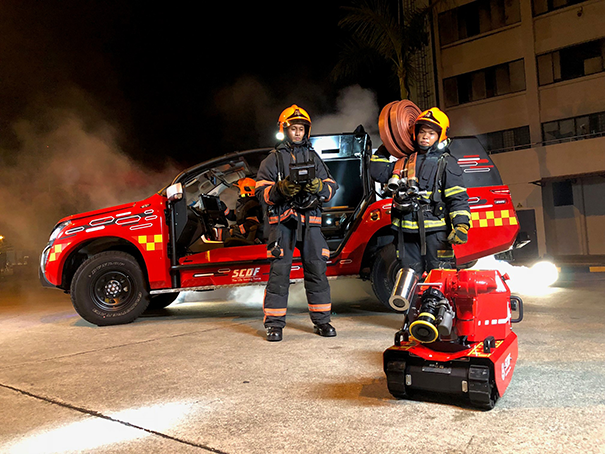 In Singapore, firefighters and paramedics are using a range of technologies to carry out their duties more effectively, without endangering their lives in the process. We feature here seven cool pieces of tech that are being used or tested by the SCDF. A key element of firefighting operations is managing fatigue. The equipment that firefighters carry can weigh more than 40 kilogrammes, which means that even the fittest of heroes will tire eventually. 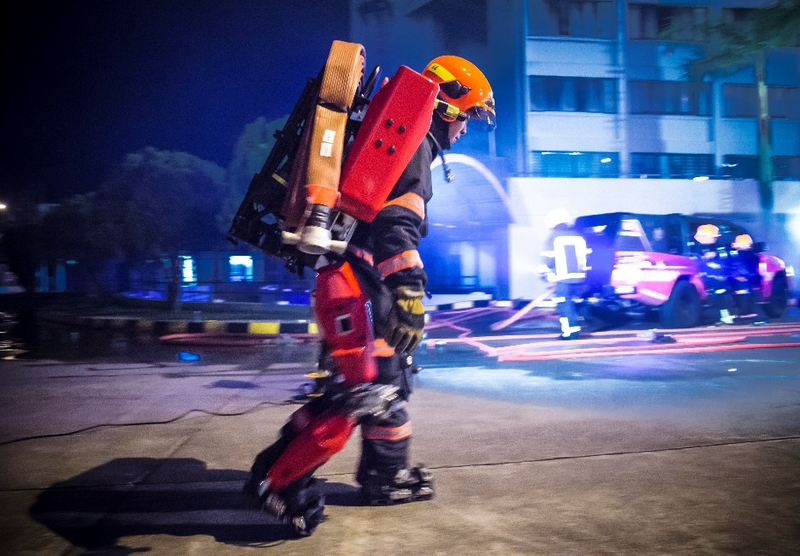 To boost the physical endurance of firefighters and allow them to better focus on their missions, the SCDF is working with the Ministry of Home Affairs’ Office of the Chief Science and Technology Officer to develop and optimise an exoskeleton—essentially a mechanical frame that can help bear the load of firefighting equipment. The exoskeleton is built to be durable under harsh conditions and relieves the strain on the responders’ shoulders, also freeing up their hands for more important tasks. Pneumatic pistons in the legs provide additional strength and support to firefighters as they climb stairs. Should the need arise, the firefighter can engage a quick release catch to jettison the exoskeleton. While the SCDF prides itself on arriving quickly at emergencies, there are some emergencies that are critically time-sensitive, such as a heart attack. The myResponder mobile app developed by GovTech was thus designed to crowdsource lifesavers, allowing anyone with training in CPR to administer help to someone experiencing a cardiac event. Launched in 2015, there are now more than 26,000 registered community first responders (CFRs) on the app. If they are within 400 metres of someone suffering a heart attack, they will receive a notification via the app to render assistance before an ambulance arrives. Almost 1,700 CFRs have responded to the notifications, and lives have already been saved Because rubbish chute fires account for approximately 50 percent of fires in residential estates, the SCDF is also testing out crowdsourced firefighting capabilities via the myResponder app. Additionally, existing users of the myResponder app can submit photos and videos to SCDF, which are geo-tagged to allow the SCDF to quickly locate and dispatch emergency resources. While most people run away from a fire, firefighters must head towards the flames, putting themselves in harm’s way. The human body was never built to withstand thick, choking smoke and extreme heat, so the rescue team runs a real risk of injury as they try to pull people from a burning building. Enter the Red Rhino Robot (3R), a metal-clad ally with onboard sensors that allow it to detect and move towards heat sources autonomously. Compact and portable, the 3R comes equipped with a powerful nozzle that spews water and compressed air foam to put out fires, keeping firefighters out of danger. If the proof-of-concept trial is successful, the SCDF’s 6th Generation Light Fire Attack Vehicles may each carry the 3R, reducing the headcount per vehicle to three instead of four. 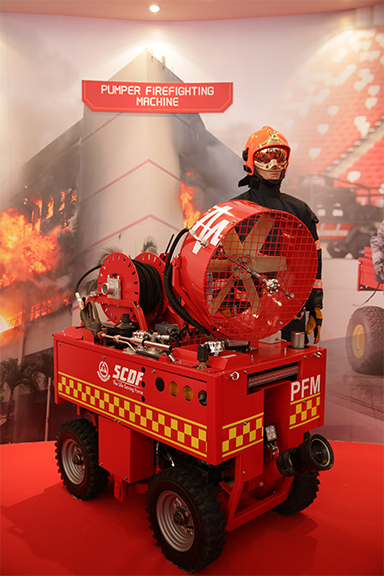 Designed to dive straight into the flames, the Pumper Firefighting Machine (PFM) can withstand temperatures of up to 250 degrees Celsius for ten minutes. But that’s just one of its many impressive features. Inside the complex environments of modern buildings, a firefighting robot is only as good as where it can get to. The PFM, despite being a wheeled automaton, is capable of traversing stairs. It also has a versatile range of firefighting options. Pumping 30 litres of water a minute, the PFM can produce a high-pressure water mist, rotating its nozzle 360 degrees to project the mist in all directions. The PFM also can provide ventilation, clearing the smoke for firefighters. This is a bot you want by your side in a burning building. Fires aren’t the only emergencies that the SCDF attends to; underwater search and rescue missions are also part of their job scope. 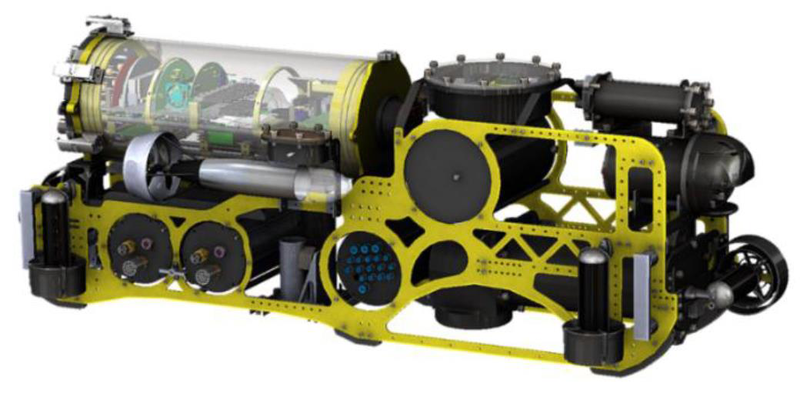 This is where the Remote-Operated Underwater Vehicle (ROV), which looks like an assortment of propellers and devices held together by a yellow frame, becomes an essential ally. Using sonar—sound waves that are projected by the ROV and reflected by submerged objects or the ocean floor—operators can create a visual map of underwater terrain. This map is immensely useful in the planning and coordination of rescue efforts. In extended missions, the ROV also complements divers, lowering their fatigue and risk exposure. In an urban disaster zone such as a collapsed building, looking for signs of life among the rubble can be difficult. 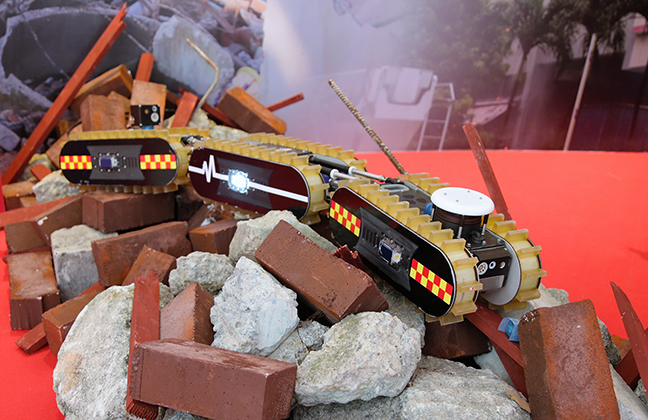 Where human rescuers use their eyes and ears to seek out those who may be trapped beneath debris, the Life Detection Robot brings with it a suite of cameras and sensors to map out the area of operations in three dimensions, as well as seek out the living. Travelling on tracks that grant it enhanced manoeuvrability on uneven ground, it can ‘hear’ calls for help and detect heat and chemicals produced by the human body. It then issues an alert to human rescuers who can come to its location and extricate the victim from the wreckage. Casualty management is another important aspect of rescue missions. 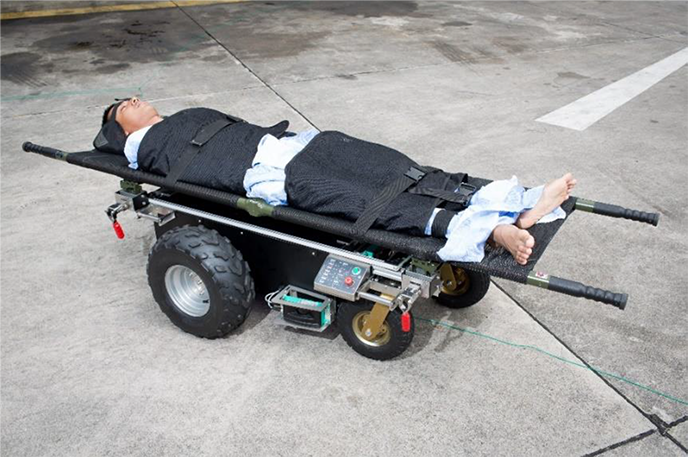 The SCDF has thus developed the Autonomous Casualty Transporter (ACT), which, as its name implies, helps to carry injured persons away from the disaster zone, without human supervision. It can bear loads up to 100 kilogrammes and travel over various types of terrain. Once the casualty has been secured on the stretcher (a locking mechanism on the ACT further ensures safety), the ACT navigates itself to a safe location using sensors, moving along predetermined routes while avoiding obstacles. Its speed can be regulated according to the mission profile, and a status light and panel allow it to signal to rescuers with a flashing red light.